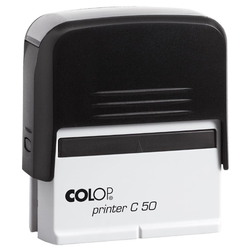 Prominent & Leading Manufacturer from New Delhi, we offer colop printer 30i plastic holder. colop stamp printer 30i seriesOurs is an illustrious organization, engaged in trading Colop Printer 30i series. Works without ink pad, our offered printers are capable of providing thousands of impressions. In addition to this, these printers are available with us in different colors, designs and writing styles to suit the demands of customers.